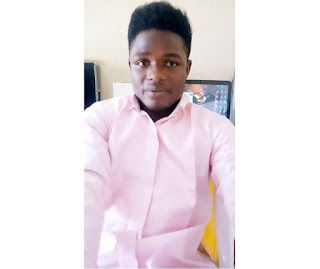 James Kase is a Full-time Blogger, Website Developer and Freelancer based in Nigeria. Full-time Blogger, Website Developer and Freelancer. Freelance Expert "Hire me below"
We design, develop and support WordPress websites and Blogger Blogs. We also offer E-commerce services; BigCommerce and Woo commerce shopping cart solutions that are based on your ecommerce needs. We can help with everything from set-up, design and integration to de-bugging, remote access training and consulting. We will also work with you to get the best custom domain name for your business. SEO Search Engine Optimization; We can help you buile your brand and promote your business on the search engines. First of all I love music, country music is my favorite. Love watching football, movies and playing games with my buddies. I spend quite a lot of time in blogging and freelancing, these keeps me fresh for working environment. I also spend time playing Video games :) you'd know I love video games too..
Hey there! I am a Full-time blogger, SEO expert and a freelancer. I also write and proofread killer articles for your blogs and projects. I know you would like to check out my gigs for offers, no hard feelings. I develop premium blogger and wordpress blogs/websites respectively. I will not stop tweaking until you say "Wow". Services are offerred at different prices depending upon your request. Request a custom order and I will give you the best Price and Service! "James did an amazing job on my website - www.scholarshipafrica.com.ng. Not only am I thrilled with the platform he used, and the options available to me but updating my own site is super easy. I can take it from here. He worked so hard to be sure I was pleased and that I am! I highly recommend James Services, reasonable and very professional!." "We needed a new and mobile friendly web site for our real estate business. James and his team got it done! Throughout the process he constantly checked what I wanted and kept everything moving along nicely. I have worked with James since 2013 and will continue to work with him because they have proved their worth time and time again.."
"James and his team did a great job building my business webpage. From initial design to final, hosted and SEO friendly website, the process was simple and logical. Also, one of my requirements was that I be able to maintain the content on the website. James provided excellent training. It’s clear that James has many years, if not decades of experience building great websites. I highly recommend them to anyone needing to either build or refurbish a website." 10 Fully SEO Killer Articles Included. 20 Fully SEO Killer Articles Included. How Can We Help You? We are based in Karu, Nigeria. We also work with clients all over Nigeria and Ghana. Initial consultations are always free! Call us on +2348166573666 or fill the form to start a conversation. 18, Fally Plaza Old Karu Road, Nigeria.